This gorgeous mid sized neighborhood is one of the oldest in Rancho Santa Margarita an d its located in the north-eastern side as part of the area known as Trabuco Canyon. 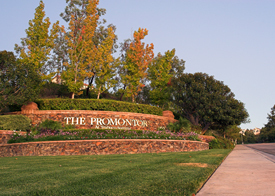 The main streets for the community are Robinson Ranch and Shadow Rock and it has some condominium complex areas closer to Plano Trabuco Road and a large park, and the community is bordered by the Cleveland National Forest. The following neighborhoods compromise the community: Trabuco Crossings, Trabuco Ridge, Trabuco Springs, Trabuco Elms,Homestead, Fieldstone, The Meadows, Lyon Estates, Lyon Highlands and Promontory. Search all Robinson Ranch homes currently available for sale listed in the MLS. Read more for information about the Robinson Ranch Real Estate options available. The Robinson Ranch real estate portfolio has many options for all kind of tastes. The community located in north-eastern Rancho Santa Margarita has great city light views or mountains views depending on the direction the homes are located. The homes are located within walking distance to renowned Robinson Ranch Elementary, giving families with younger kids the availability to walk their kids to school. Robinson Ranch was built by William Lyon Homes, and has many homes featuring larger lots and wide streets. 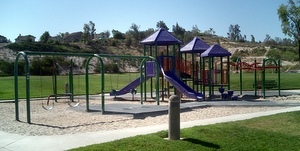 Tennis, basketball corrts, swimming pools and playgrounds are some of the many amenities the community offers. Robinson Ranch might be the answer for those looking for the tranquility of a private neighborhood, with no through traffic in and in a gorgeous natural setting. OCExecutives specializes in real estate transactions of Robinson Ranch in Rancho Santa Margarita, California real estate for sale. Contact us today to sell real estate or buy real estate in the Robinson Ranch community. For more information about any of these Robinson Rancho Homes, please contact us. Or if you would like to see a list of other communities follow the links above, or clck here for other Rancho Santa Margarita Homes for sale. Based on information from California Regional Multiple Listing Service, Inc. as of April 18th, 2019 at 2:24pm PDT. This information is for your personal, non-commercial use and may not be used for any purpose other than to identify prospective properties you may be interested in purchasing. Display of MLS data is usually deemed reliable but is NOT guaranteed accurate by the MLS. Buyers are responsible for verifying the accuracy of all information and should investigate the data themselves or retain appropriate professionals. Information from sources other than the Listing Agent may have been included in the MLS data. Unless otherwise specified in writing, Broker/Agent has not and will not verify any information obtained from other sources. The Broker/Agent providing the information contained herein may or may not have been the Listing and/or Selling Agent.